Wrong Rib Removed at Yale — Sorry Works! And now the whole entire mess is splattered across CNN and Google for the whole entire world to see! Hey, the next time your CFO says, “We don’t have the time or money to train our staff on disclosure,” or your General Counsel worries aloud, “The docs just aren’t ready for truth telling yet,” take this story and staple it to their foreheads. Seriously. Forget about the lawsuit for a second (which will be costly), think how much this bad PR will cost Yale? How many billboards will Yale have to erect proclaiming their greatness and bragging their docs are amazingly awesome to overcome the stain of this case? This…is…a…mess. From my read of the story, it appears 1) the front-line staff froze and didn’t know what to say, who should say it, etc because they haven’t been trained; and 2) Yale’s disclosure program (or lack thereof) couldn’t hit the finish line in this case. This is a slam dunk, clear liability case which laid bare the disclosure short comings of a major hospital. These are classic/typical problems for hospitals and nursing homes working to embrace disclosure. News flash: This could be your hospital or nursing home tomorrow, next week, or next month unless you develop a disclosure program and train your people! The Sorry Works! Tool Kit provides the blueprint for your disclosure program…..purchase the Tool Kit today. Here is a link for the CNN story. 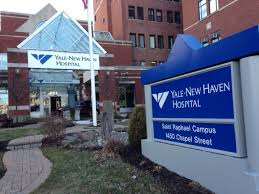 A perfect resolution to this case would be the following: 1) Yale leadership and the doctors involved sitting down with Mrs. Craven and her attorney; 2) apologizing for the error and alleged unethical behavior that followed; 3) waiving all bills; 4) providing fair compensation; 5) developing disclosure training for their front-line staff, and involving Mrs. Craven in that training. Yale could video tape Mrs. Craven’s story and play it for their staff and new hires….Yale could invite Mrs. Craven to give a talk to their staff….Yale could involve Mrs. Craven on the committee that oversees their disclosure program; 6) Showing Mrs. Craven how they fixed the errors that led to her wrong-site surgery, and perhaps name the fix after her. Lots of creative ways to resolve this situation that can benefit all parties, but it will take leadership and ethics from Yale.